But cheating also happens when the brain is injured, and there’s nothing a therapist can do about that. After a stroke, the uninjured side of the brain will automatically pitch in and take over some of the functions of the damaged side. 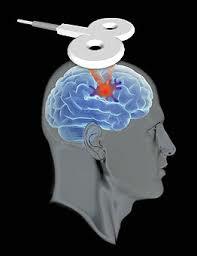 That may be one reason that most stroke patients stop improving after about three months of rehab. But what if you could damp down the healthy side of the brain during stroke rehab? That could force the injured side to work harder and get better — an idea that’s now being tested at a dozen rehabilitation centers around the country. The patients enrolled in the trial sit for about 20 minutes before each rehab session with a device on their heads that sends a targeted magnetic field into the brain. “This device is a way of targeting the overactive side, quieting it down enough so that through therapies the stroke side can learn to express itself again,” says Marcia Bockbrader, MD, PhD, a physiatrist and researcher at The Ohio State University Wexner Medical Center in Columbus, one of the centers participating in the trial. “What we’re doing is allowing the brain to be ready and more receptive for therapies,” she says. Through the technique, called repetitive transcranial magnetic stimulation (rTMS), the researchers target the stimulation on the motor cortex of the uninjured hemisphere of the brain. “That magnetic field penetrates painlessly down through your scalp into your brain, and that induces an electrical current that then interacts with the electrical circuits in your brain,” Bockbrader says. The patients being studied are all past that three-month period, after which most stroke patients plateau and stop regaining function. To eliminate the placebo effect, some patients are getting the real treatment, and some a sham treatment. The patients don’t know which group they’re in, but Debbie Hall, a stroke patient who participated in the trial at Ohio State, says she saw improvement. TMS is a technique that holds promise for several conditions: It’s also being tested as a treatment for depression and Alzheimer’s disease.